Nationwide Insurance has quickly climbed the ranks as one of the most widely purchased pet insurance plans for a couple of different reasons. They’re incredibly affordable, and offer reimbursements without having to fight tooth and nail to receive the money, but they drop the ball in even more areas than they excel. To put it bluntly, Nationwide Pet Insurance is one of the lowest rated companies of all the insurers we have reviewed. Even though customers choose Nationwide policies because of the pricing, they quickly learn that they’re going to fight an uphill battle, in terms of the types of coverage being offered, and getting any type of customer support. To make matters worse, Nationwide has also been found to secretly raise the rates on policies as your pet grows in age, while including as many, or more exclusions than the remaining companies on our list. Nationwide features 3 types of policies, and claims to have a 90% reimbursement policy. That means, if your vet bills are $1,000, you will receive back up to $900 through the insurer. They also offer “Whole Pet Wellness” which covers your pet from “nose-to-tail”, and includes everything from exams, tests, and x-rays, to prescriptions, surgeries, hospitalization, chronic and hereditary conditions (with no waiting period) and wellness checks. There are also separate policies specifically for major medical that covers just exams, prescriptions, surgeries, hospitalization, chronic conditions, some hereditary conditions (waiting periods apply), and Pet Wellness that covers wellness exams & tests, vaccinations, and flea / heartworm prevention. Cruciate surgeries are rarely covered on most policies, and include internal ruptures, and other orthopedic conditions that are common to most breeds, and can get expensive fast. They’re one of the only insurers on our list to offer this type of coverage. If your pet develops arthritis or other physical conditions that require ongoing therapy through your vet, Nationwide will cover the costs for you -- in some of their plans. You have to pay attention to the types of coverage included inside of your policy to ensure that you’re going to have the coverage, in case you may need it -- the case with a lot of large breeds with long spinal cords. While most policies will offer you coverage for wellness checkups, Nationwide covers everything from exams, tests, and x-rays, to prescriptions and vet visits. Keeping your pet healthy is easy through Nationwide. Nationwide Pet Insurance has grown so quickly because they are competing on price. While their policies are the lowest on the list of all of the insurers we’ve reviewed, you tend to “get what you pay for” in a few different areas. This is both a pro and a con, depending how you look at it. When it comes to reliably paying out reimbursements after a costly vet visit, Nationwide drops the ball in just about all areas. They say that a lot of different conditions and types of visits are covered in their policies, but during our review, and reading what other customers have said about the company, it became blatantly obvious that their level of commitment to paying out claims, and in a timely manner was lacking. The amount of complaints about Nationwide declining to pay out for legitimate claims was pretty bad, and should be taken into consideration while you’re shopping around. While refusing to pay out claims typically goes hand-in-hand with poor customer service, Nationwide takes it to a new level. Getting in touch with someone to file your claim, and then having the paperwork processed in a timely fashion is going to be hard to do. The wording inside of Nationwide’s policies will lead you to believe that prescriptions are covered, while they actually aren’t. You’ll be able to receive coverage for them if you pay an additional cost and have it added onto your policy. So while they say they offer the coverage, you need to weigh the costs of the prescriptions against the actual cost of having coverage included in your policy. Something else to consider is the fact that your premiums are going to go up as your pet grows in age, while the highest rated insurers on our list will actually maintain “level” premiums, regardless how old your pet grows. This means, as your pet grows in age and the rates start increasing, your costs could quickly add up, and you’ll be left with no recourse. Finding a new policy when your dog is older, and may have new conditions will be virtually impossible. That’s something Nationwide seems to be trying to bank on. While having the lowest rates has helped Nationwide grow to the size they are now, it also hinders their growth into the future. If you noticed our customer service review of the company, you’ll understand where the costs are being cut to help them compete with other insurers on our list. 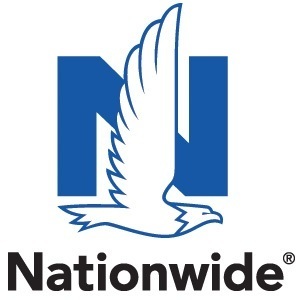 To turn a profit while keeping your rates as low as possible, Nationwide is cutting costs in the customer service and reimbursement departments. Nationwide landed themselves at the bottom of our list for a few good reasons. While the pricing structure is great, getting claims paid out in a timely manner, and dealing with customer support without wanting to rip your hair out leave a lot to be desired. In our opinion, if you are searching for a pet insurance policy, you may want to consider companies other than Nationwide. Keep in mind that you’ll be paying extra for prescription coverage, and probably find yourself being one of the next customers to leave a complaint somewhere on the internet, about how Nationwide has done you wrong. While the pricing is attractive, we have to rate Nationwide with a failing score, because of how they treat customers, and work to decline reimbursements.